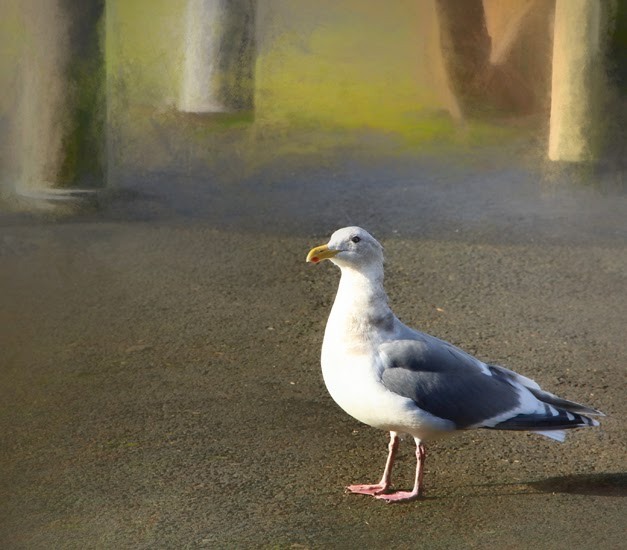 Out of His Mind's Eye: What's a nice gull like you doing in a place like this! What's a nice gull like you doing in a place like this! Did you not tell me i was to come for a photo shoot? Nice Gull, food, I want food. LOL! Great shot. And I love the previous shot too. Oh, I love your title@ Great capture, too. A quizzical look and a great photo! Got lost maybe - nice capture.